Mantra: Wear your confidence likea crown, and hold your head up high. The traditional emblem of royalty, the crown represents dignity, power, confidence. Channel your inner queen with this dainty crown, and celebrate your dignity, elegance and strength. Perfect gift for a young woman to celebrate female empowerment and confidence. Wearing a crown means you hold your head up high, walking with confidence and commanding respect. 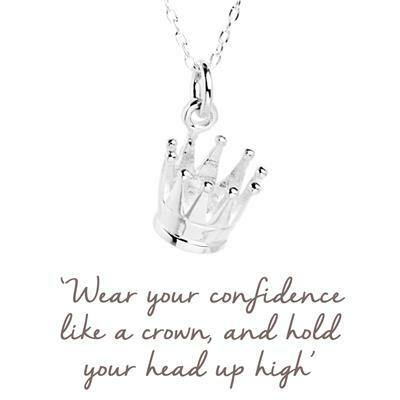 Wear the Crown necklace when you want to feel confident, empowered and strong; or gift it, when you want to encourage and celebrate this in your daughter, sister or friend.